My name is Lara and I love to share my joy of health, food and great relationships with you. I grew up with a love and appreciation of homegrown organic food and home cooked meals. This is one of the pillars that leads to great health. Over the years, my life has evolved to encompass more pillars; yoga and Ayurveda, meditation and meaningful relationships with friends and family. I have also realized by having all these pillars in balance I am becoming more successful at what I do. I help people work out what is out of balance in their body and in turn their life, in order to find the best possible version of themselves. I find most people need to reboot their diet, work out a better eating routine and understand what foods suit them best. These are the key pillars which will get them feeling more energized, give them more vitality and help them form more positive eating and lifestyle choices, which promote longevity. I absolutely love seeing the change in people. Helping people feel more amazing usually means their relationship with themselves and others improves and they often find more success in their careers or jobs. I am a mother to my 8 year old daughter Monet, who inspires me every day to live a healthier more authentic life and live in the moment. I live in beautiful Byron Bay, Australia, where I am extremely fortunate to be able to go to the beach, practice yoga and meditation and spend time with my loving and supportive partner. I discovered Ayurveda (which is the ancient science of life, originating in India thousands of years ago) as a result of years of practicing yoga, meditation and breathing practices. I fell in love with Ayurveda when I first learned how to cook Ayurvedic food and how that food made me feel. I felt more energized, lighter yet satisfied, and I felt inspired to use spices everyday in everything I cooked. I studied with some amazing Ayurvedic cooks and then went on to travel around India. I continued my Ayurvedic studies in Australia, focusing specifically on Ayurvedic cooking principles and techniques. I love to cook, as food is medicine for the heart and soul! I learned how to cook from the heart from my mother at an early age as I used to help her prepare meals. She also taught me the value of herbs, spices and fresh produce. I love to teach others how to cook and to inspire people to cook with love, intention and connection to food. I am inspired by fresh produce at the farmers market and by the scents of freshly baked bread, home made ghee and spices. I also enjoy working with people one on one and working out their constitution and I relish the challenge of discovering what can help an individual live a healthier, more energetic and fulfilling life. 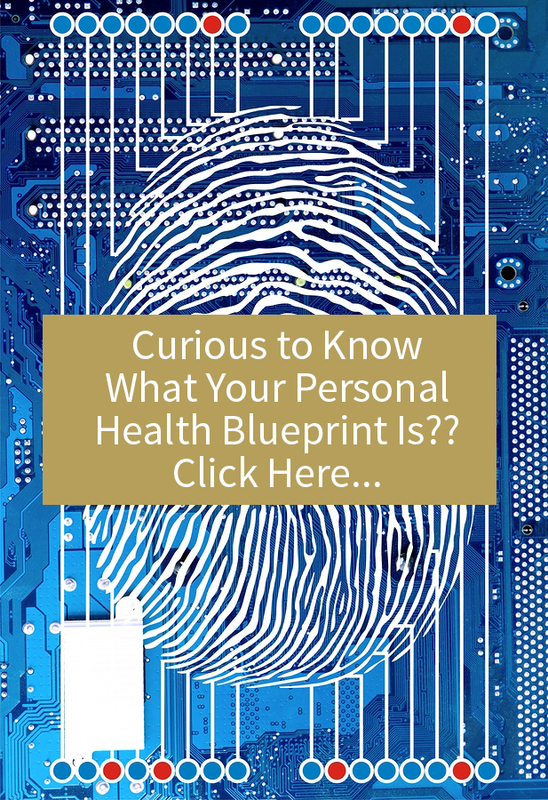 I love working with people on their personal health blueprint and speaking about cutting-edge health. I recently started a catering division, which serves large groups and I find the thrill and challenge of providing organic, vegetarian and Ayurvedic-inspired food to large groups deeply satisfying. Due to the popular demand of our food we have created a catering division, which caters for gatherings. We operate from our own location at Yummy Studios, Byron Bay, and are available to cater for small to large events and retreats. My mission is to bring back our connection to food as medicine; to inspire people to cook healthier, tastier meals; to empower people to take their health into their own hands, and to uncover a vibrant more energetic you! You will become more aware of your body’s natural rhythms as I guide you in choosing foods that suit you and create a program that will enhance your en ergy and decrease stress levels. My role is to support you to achieve a healthier diet and to nurture and empower you to choose a sustainable and nourishing path of living. Yummy Lara has cooked for 1000’s of people, taught 100’s of cooking classes and spoken in front of 100’s of people. She has provided food for Jeffrey Slayter’s Gatherings and Free Humanity Events. She has created 100’s of recipes and helped 100’s of people obtain optimum health and vitality. Yummy Lara’s catering company caters for small to large events and retreats. The food they provide is organic, vegetarian and seasonal and is inspired by Ayurveda and other age-old traditions. 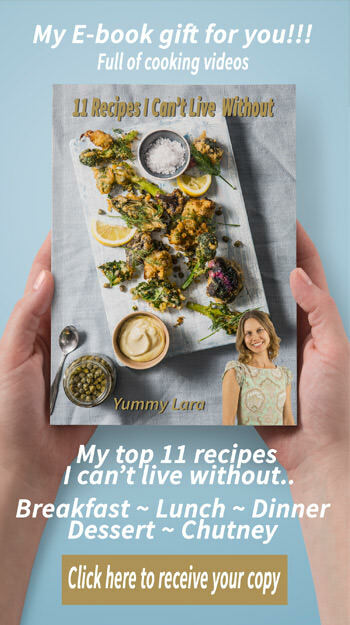 Yummy Lara teaches cooking classes and workshops that will inspire you to cook healthy, tasty and high vibrational food. Yummy Lara is also all about helping individuals achieve optimal health and change negative health patterns. She is great at assessing where there are imbalances in your system and where dietary changes need to be made. She is insightful, thorough and practical in her approach to health and believes that changing the way you eat and the way you view your individual constitution is integral in becoming a healthy and happy vibrant person.